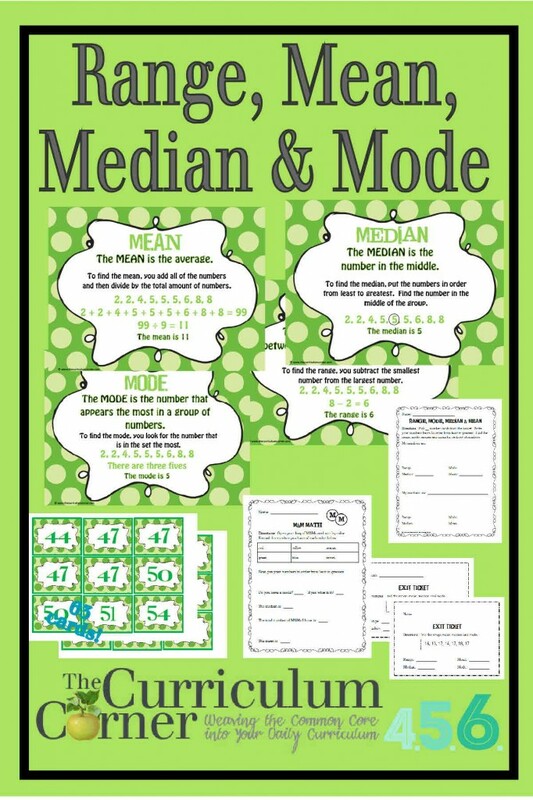 We have created a set of anchor charts and activities for you to use in your classroom to help students learn to identify the range, mean, median and mode of a set of data. 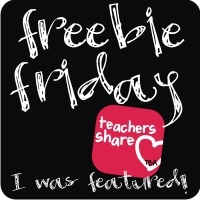 Anchor Charts Print these posters and display for students to use as reminders. Center Activity Number Cards Recording Page Print off and laminate the number cards. Place the cards in a basket. Tell students the number of cards to pick and have them find the range, mean, median and mode of their data. You can differentiate this center by having different students choose a different number of cards. Also, we have included both smaller and larger numbers so you can choose which work best for your students. M&M Math Give each student a pack of M&Ms (a snack size for younger students, an individual size bag for older students.) Have students sort their M&Ms and complete the paper. Exit Ticket 1 Exit Ticket 2 We have completed two exit tickets for you to use as a way to assess student progress.